I installed 64-bit Mint Debian Edition today (LMDE) but I had a problem getting the image onto the USB stick. 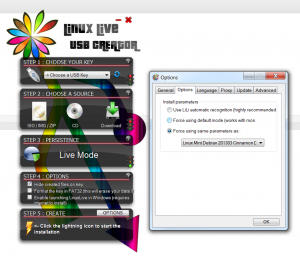 I used LinuxLive (LiLi) Usb Creator version 2.8.22 released June 1st 2013, however the default settings resulted in a usb stick that wouldn't boot properly. The symptom was a kernel panic due to the init process being terminated. It wasn't very easy to see what the cause was, as after the panic the kernel changed the graphics mode back to a text mode which got rid of the error messages. It turned out that after mounting the initrd, it had a problem finding /boot/casper. This problem occurred because LiLi didn't recognise the iso file, and guessed that it should use its settings for 64-bit Linux Mint Olivia. The fix was to manually select the settings for the most recent version of 64-bit Mint Debian Edition that LiLi knew about. I was then able to boot into live mode and install to disc from there. I was slightly surprised that there was no direct install link from the boot menu but you can't have everything! Thanks for your message, and i hope people from mint and lili read this one. 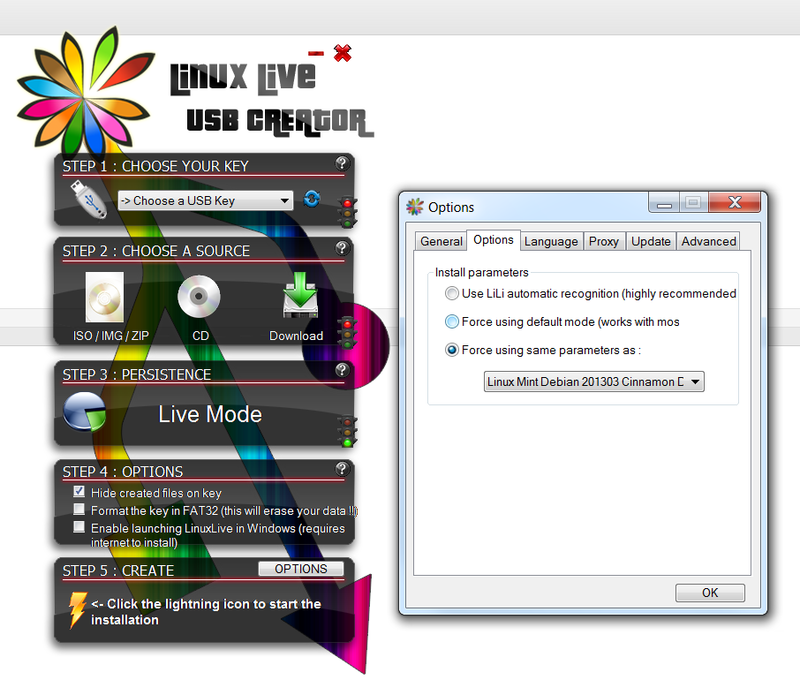 I've tried to install lmde cinnamon edition. every time i've tried my computer freeze completely. and its not always @the same stage. sometimes the size its normal. but every time it will eventually freeze. the best i could get with it was right when i was about to choose the partition for it.